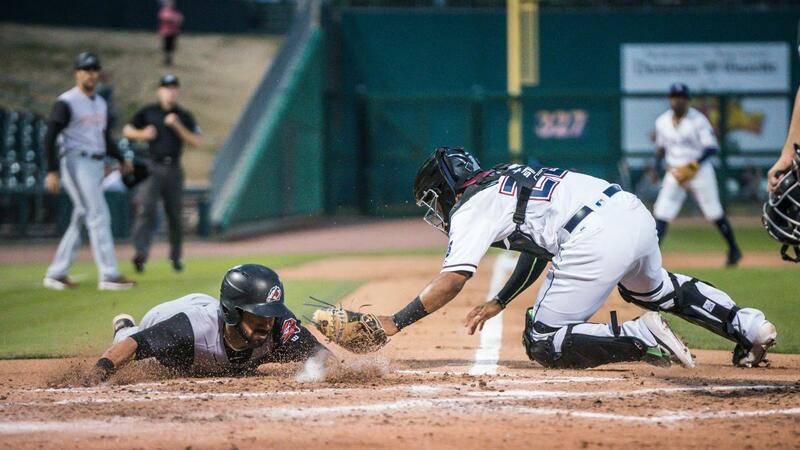 Springdale, AR-The Arkansas Travelers completed a three-game sweep over their in-state rivals, the NW Arkansas Naturals, with a 9-6 win on Wednesday night closing out their season opening roadtrip. With the win, the Travs are 6-1 and two games up in the Texas League North Division. Arkansas never trailed in the game and led by as many as seven. Offensively, the big innings were a pair of four-run frames in the fourth and sixth with only three combined hits in those innings. They have posted 14 multi-run innings over the first seven games of the season. Ricardo Sanchez earned his second win in as many starts giving up three runs (two earned) over 5.2 innings. Wyatt Mills picked up the save, his first at the Double-A level. * Jake Fraley led off the game with a triple and promptly scored on Chris Mariscal's groundout staking the Travs to an early lead. * Logan Taylor and Donnie Walton connected for RBI doubles as part of the four-run fourth inning. * Jake Fraley had a two-run double, part of the four-run sixth inning. * After NW Arkansas had scored twice in the ninth, Wyatt Mills came on with the tying run at the plate and procured a groundout and strikeout to finish the game. The Travs return home to Dickey-Stephens Park for the home opener on Thursday night against the Tulsa Drillers. First pitch is at 7:10 and the first 3,500 fans get a Travs magnet schedule. Right-hander Zac Grotz (0-0, 0.00) gets the start against righty Yadier Alvarez (0-1, 9.00) for Tulsa. The game will be broadcast on the Sports Animal 920, the First Pitch App, TuneIn radio and milb.tv.